Vimeo is perfect for those who want to watch high quality videos without ads. If you want to learn how to save Vimeo videos on iPhone, keep reading the following tutorial. 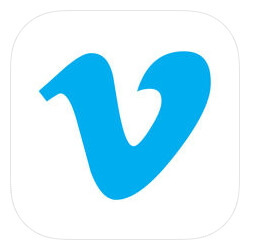 If you don’t want to download Vimeo with a third-party program, you can use the Vimeo iOS App to save your desired Vimeo videos on your phone. Here’s how to do it. Step 1. Visit Vimeo’s official website and play your chosen video. Step 2. Tap on the ellipses beside the video and click on the Make Available Offline button. The download process will then start. Step 3. Click Offline and look for the video in your playlist. Maybe you’ve used third-party software to download Vimeo videos to your computer and then converted and transferred these videos to your iPhone. You may want to view the saved Vimeo videos from your iPhone or backups. Here are some tips on how to save Vimeo videos to iPhone. If you want to view saved Vimeo videos on iPhone, you can use an all-in-one program named iMyFone D-Back. You can try the free trial version first to see whether the videos are what you want or not. Please note that the deleted videos can also be founded. This way can be used to find and view all the deleted and existing videos saved from Vimeo on iPhone. Step 1.Launch iMyFone D-Back. Go to the Recover from iOS Device tab and then click Start. Connect your iPhone to a computer. Once the program successfully detects your device, click the Next button. Step 2.Choose the data type of video and click the Scan button. The software will start looking for the videos from your iPhone. Step 3.The videos will be organized once the scan is finished. Click every tab to check the files. You can also choose Show only the deleted files to preview the deleted files. Choose the items you want and click the Recover button. If you have synced the saved Vimeo videos to iTunes once, you do not need to worry that you are not allowed to view them via official iTunes. Via D-Back, you can view up to more than 18 data types in your iTunes backup without restoring. Step 1.Go to Recover from iTunes Backup and click Start. Choose the iTunes backup you’d like to recover files from and then click Next. If you select an encrypted iTunes backup, you have to input the password for iTunes encryption. Step 2.Choose the video files you need and click Scan. The search results will appear on the interface. You can filter results by choosing the “Only show the deleted files” option or browse according to your needs. Choose your desired files and click Recover. Step 3.Create or choose a folder as the recovery path. iMyFone D-Back will recover your selected files to the folder. You can check it once the recovery process is completed. As another official method to save iPhone data. iCloud is also chosen by users. Do not hesitate to view saved Vimeo videos from your iCloud backup. Step 1.Go to Recover from iCloud Backup, click Start and enter your iCloud account details. 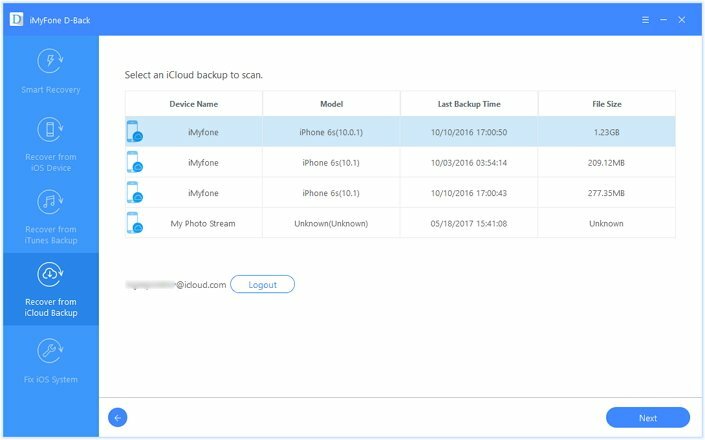 iMyFone will look for all iCloud backup files in the iCloud account. Step 2.Choose the iCloud backup from which you want to recover video files and then click Next. 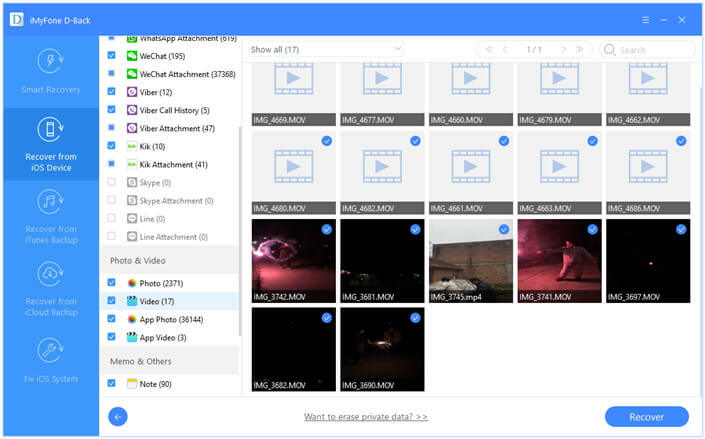 Step 3.Select the video data type you need and click Scan. Wait for the program to finish scanning and downloading your iCloud backup files. The search results will be displayed on the interface once the scan is finished. Select the files you want and click Recover. Pick a location on PC to store the recovered files. Most users and professional websites trust iMyFone D-Back, so there is no need to worry about its authority and expertise. 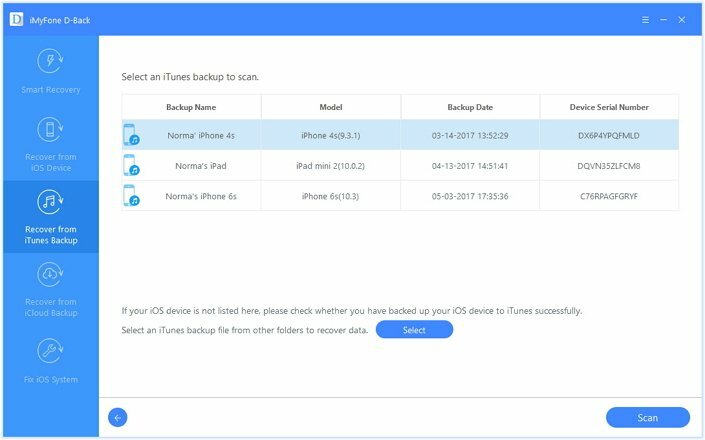 You can view the videos within iPhone backups which cannot be done with iTunes and iCloud. You can use it to recover almost all kinds of data from your iPod touch, iPhone and iPad, including videos, messages, photos, contacts, voice memo, and Viber/ WhatsApp/ Kik/WeChat attachment and notes. You can preview the recoverable data before purchasing and choose the ones you need. These are some of the easiest ways to save and view Vimeo videos on your iPhone. Streaming may be practical, but it devastates your phone’s battery. You can’t access your Vimeo videos if you are offline. This is why saving and viewing Vimeo videos on your iPhone is more convenient than streaming. Check the methods carefully and choose the one you trust. Feel free to leave comments below!